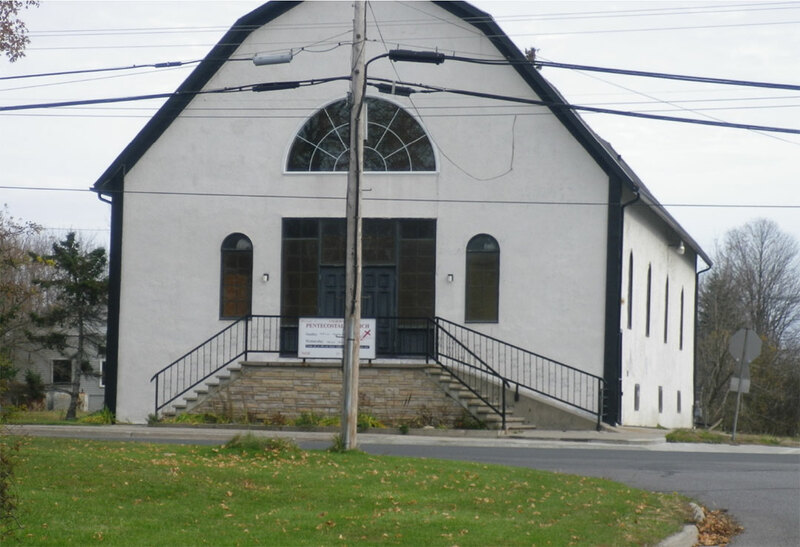 The work of the Colborne Pentecostal Church is considered by the congregation to be a continuation of that of the Castleton Pentecostal Church which dates back to 1937, when the church was begun by Rev. Charles Rotz. The Castleton Pentecostal Church congregation met in the building which still stands at 2208 Spring Street. It has been renovated for residential use and a number of additions have been constructed. The congregation faced its ups and downs and eventually the church was closed, only to be reopened by popular demand in January, 1975, by Rev. Jack White. It was he who recommended to the church authorities that headquarters be moved to the more densely populated centre of Colborne. In the fall of 1978, Pastor White turned over the administrative responsibilities for the church to Pastor Frank Bond, who was instrumental in establishing the church at its current site, in a refurbished “fruit house” at 89 Division Street, Colborne, under the name of Colborne Christian Centre. The first service in the newly refurbished building was held in December 1979. The name changed to Colborne Pentecostal Church in the early 1880s. In 2000, the congregation was led by Pastor Elvin Stuckless of Peterborough.